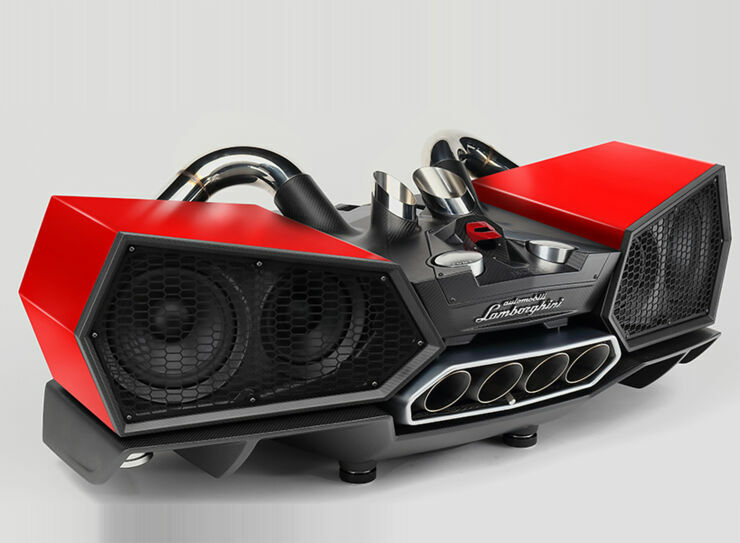 iXOOST ESAVOX Automobili Lamborghini.EsaVox, the first audio system bearing the renowned Automobili Lamborghini name. Superior cutting edge technology and craftsmanship for a Dock Station created just like a supercar. Meticulous research of the Lamborghini design has led iXOOST to create an object that immediately recalls the style of Lamborghini. 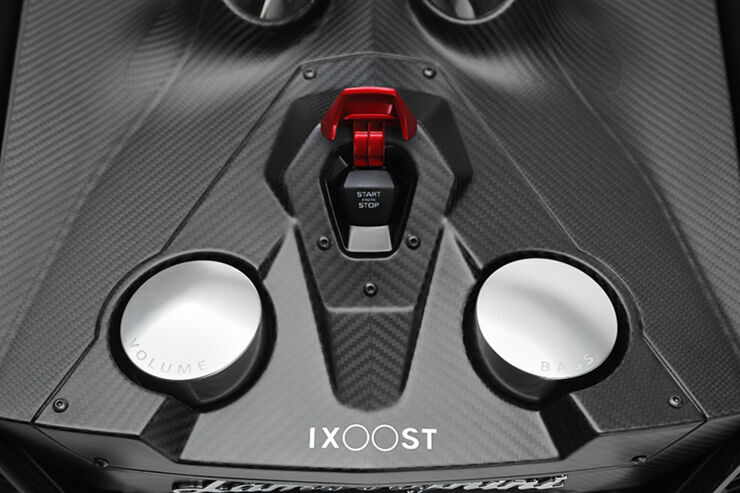 Esavox has been produced like an extreme car: monocoque chassis in carbon, polymerised in autoclave at 6 bar, original Lamborghini exhaust system with bass reflex pressure control, passive shock absorber system to dampen vibrations of the speakers and ceramic supports with variable height. 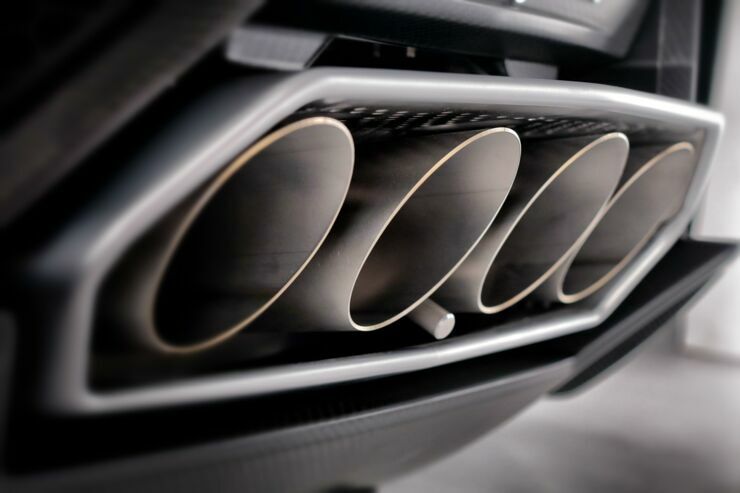 Each part of the audio system has been made exclusively by hand by the best craftsmen; those who have made history of the Land of Motors, and who still create the supercars of the present and future. 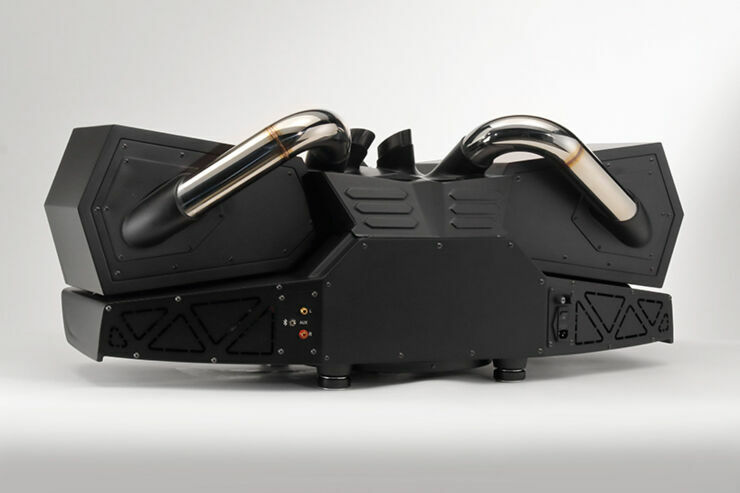 If you like your music dock station to look like the backend of a Lamborghini, well, you're in luck. 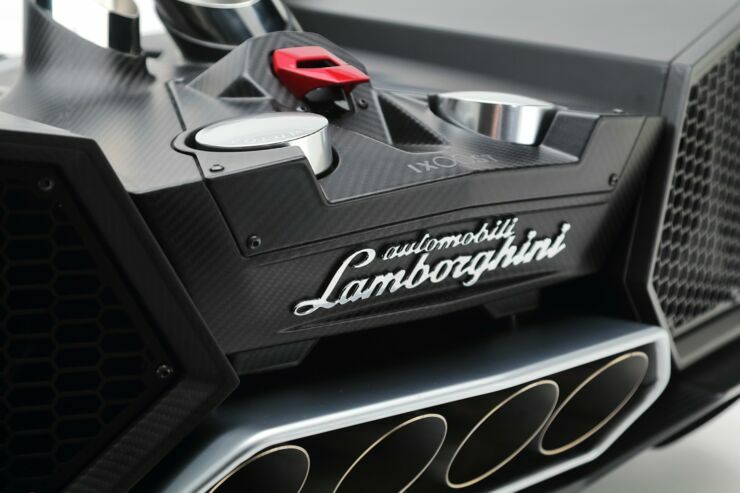 Because that's exactly what the iXoost Esavox Lamborghini speaker system is, letting you appreciate the great design of a Lambo, without the hefty price tag—although it doesn't come cheap. 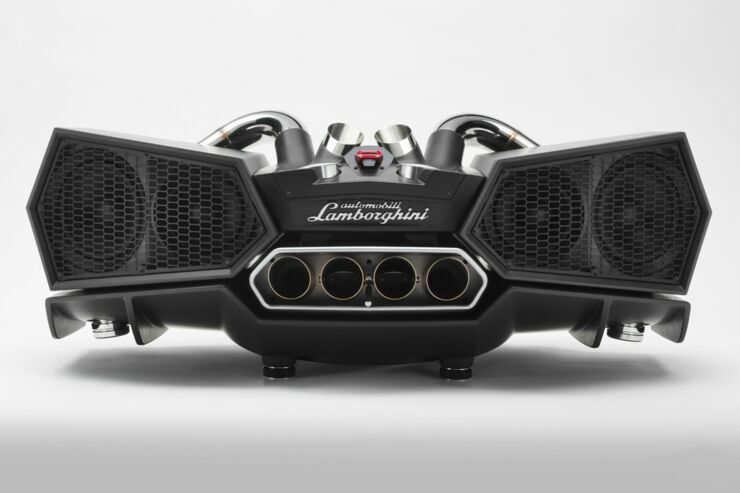 The speaker system has been crafted to recall the style of a Lamborghini with the original exhaust from the car incorporated into the design at the center of two hexagonal speakers. 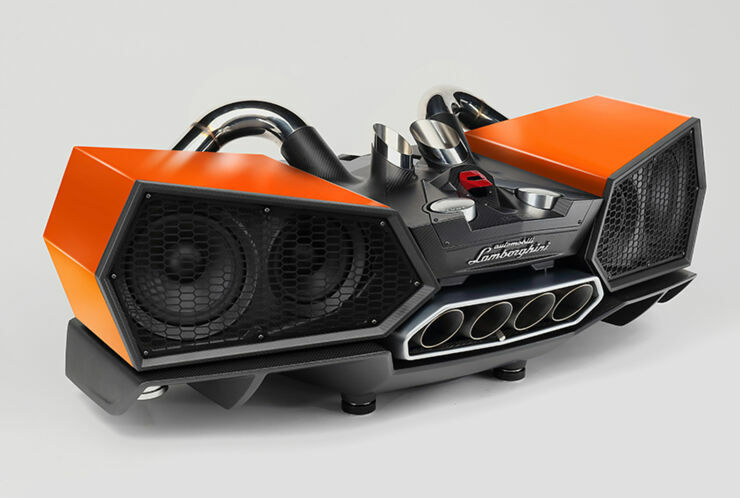 The whole thing has a carbon monocoque chassis and the two side cabinets housing the speakers are made from wood. 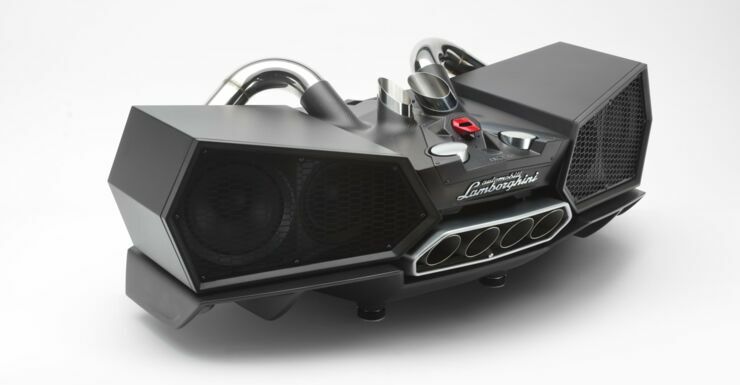 Sound wise it has 800 watts of power across two full-range 6.5-inch woofers and two 8-inch woofers in the side panels, a huge 15-inch down-firing neodymium subwoofer in the heart of the unit, and two 1-inch tweeters in Mylar inside the original exhaust. All of it is controlled by two 24-bit digital signal processors (DSPs) for a "stereo experience that fills the entire room." 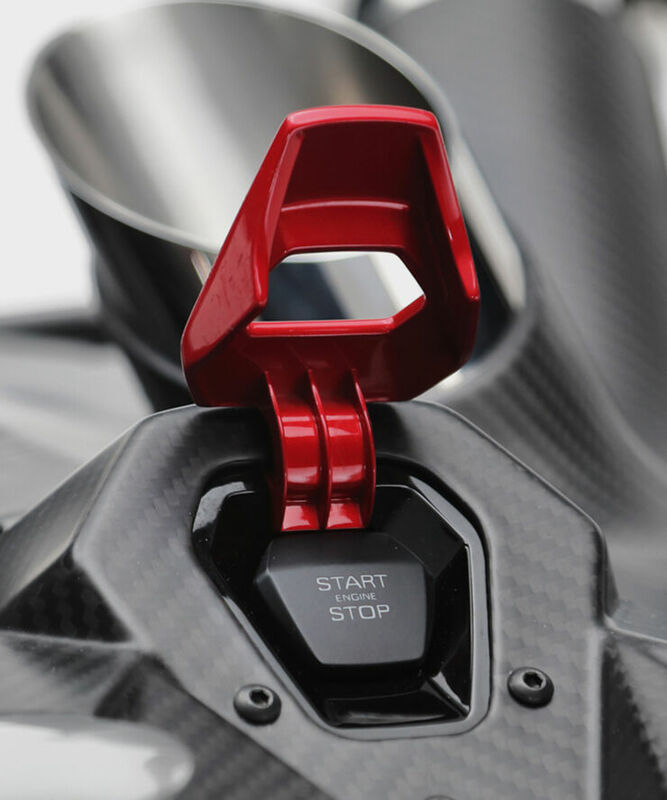 As a nice little touch the power button to turn it on is a replica of the push start button used in Lamborghinis. And it works on Bluetooth and AUX connection and comes in four different colors. If you want to buy one, it'll cost you around $21,400.00. Find out more about it at the company's website.